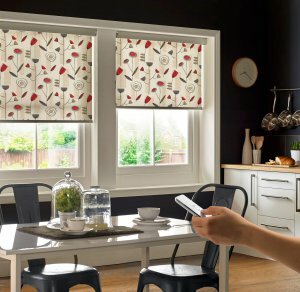 How Do Independent Blinds Suppliers Compare To Big Companies? If you have decided that your home needs some sprucing up in the form of some stylish, fresh, new blinds then you will likely be thinking – where should I start my search? When it comes to finding and buying blinds, you have a few options: megastores, online or local independent suppliers. In this article, we’ll be seeing how these options compare as well as considering the benefits of choosing a local independent blind supplier. Customer service can make your buying experience pleasant and simple or frustrating and long-winded. With a local blind supplier like Leamington Blinds, you will experience friendly and genuine customer service from someone who is experienced and knowledgeable about their industry. With local expertise and face-to-face service, you can build a helpful relationship with a supplier who will value your custom. If you want some guidance when choosing which blinds will suit your home and meet your requirements, a local supplier will be able to offer welcome help. Our family run business includes experienced technicians who will offer personal advice at a home visit or over the phone, should you want it, to help you select the best blinds for your room and home. This level of support simply isn’t possible through impersonal online shopping or big megastore chains who tend to have general store assistants rather than specialists. You may think initially that, for a wide variety of blinds, internet shopping would be the way to go. However, local blinds suppliers often have good relationships with manufacturers and will be able to source bespoke blinds which are the perfect fit for your home. Looking for style inspiration online is a great idea, but for great service and quality which won’t disappoint on arrival, going with a local supplier is a great choice. Furthermore, the bespoke nature of our blinds offers superior quality to megastore alternatives which can be rather generic and often have to be cut down to size by hand. Clearly, hand cutting blinds won’t offer the same polished finish as custom made blinds. 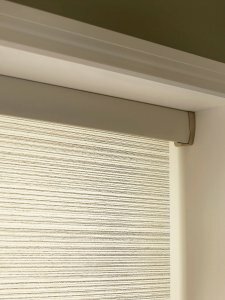 With a smaller, local business you will have a clear point of contact should you have any issues or queries about your blinds further down the line. Often, the very people who helped you choose your blinds and install them will be the ones to offer aftercare help. No waiting in call centre queues or trawling through online diagnoses, just get in touch with the supplier to talk through the problems or organise a quick fix. Local businesses are a huge driver of the economy and by supporting a local company, you are helping to improve your community. Research has shown that for every pound spent with a local independent store or business, five times more gets cycled back into your local economy. So, if you want to invest in your local area rather than big business, you can feel like you’re doing your bit by choosing a local independent supplier. Leamington Blinds are a local independent blind supplier in the Leamington Spa region who can offer customers a wonderful range of high-quality blinds. With a variety of styles, designs and materials available, we have something to suit all rooms, requirements and tastes. As well as providing stylish blinds, our experts can come and carry out a free professional installation for you, ensuring a first class finish. For any enquiries, don’t hesitate to get in touch today.